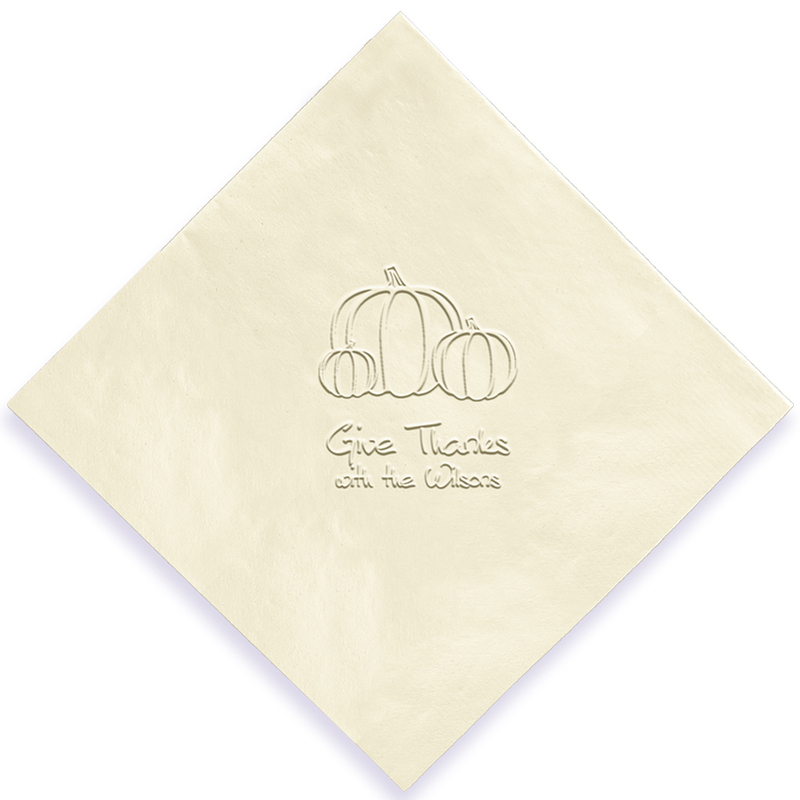 For all of Fall's celebrations -- like Halloween and Thanksgiving -- strike a warm and inviting note on your party table or buffet with the Autumn Embossed Napkins. 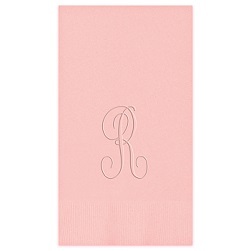 These napkins come in a large array of colors to match any decor. Three lines of personalization. Choice of lettering style. Motifs include: fall leaves, harvest cornucopia, turkey and pumpkins. High quality, three-ply construction.